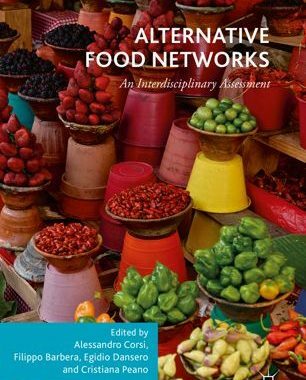 Segnaliamo il volume Alternative Food Networks: An Interdisciplinary Assessment, a cura di Alessandro Corsi, Filippo Barbera, Egidio Dansero e Cristiana Peano, pubblicato da Springer Link, nel 2018. Abstract. In recent years, Alternative Food Networks (AFNs) have been a key issue both in the scientific community and in public debates. This is due to their profound implications for rural development, local sustainability, and bio-economics. This edited collection discusses what the main determinants of the participation of operators – both consumers and producers – in AFNs are, what the conditions for their sustainability are, what their social and environmental effects are, and how they are distributed geographically. Further discussions include the effect of AFNs in structuring the food chain and how AFNs can be successfully scaled up.